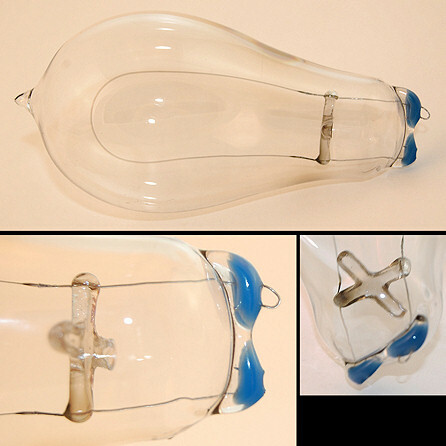 Not much time to collect and research incandescent lamps as one can probably tell by the lack of updates to this site. 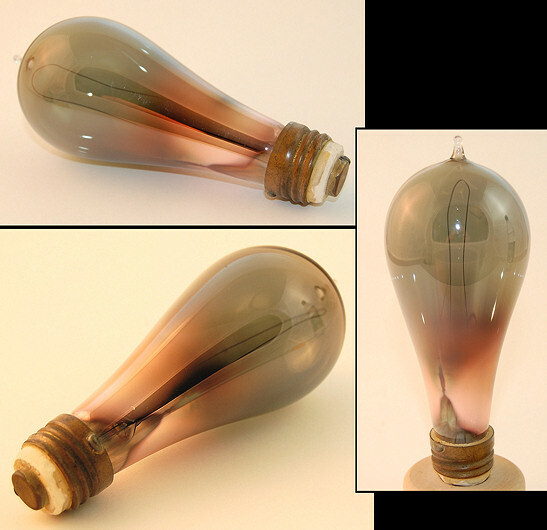 My interest has picked up again after recently coming across a small lot of early electrical items, including some unusual lamps. Here's a preview while I make time to properly document these items in the galleries. 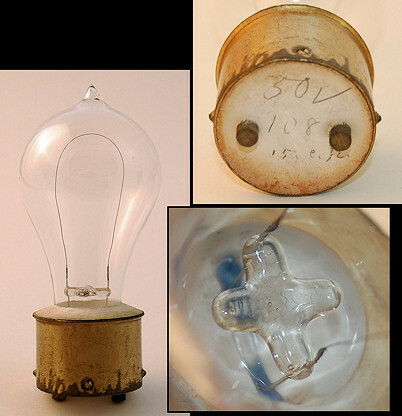 As always, any additional information is always appreciated on these items, especially with the first two incandescent lamps show below. Great to see these new pictures. Wonderful and extremely interesting lamps. I'm glad that you are continuing to collect, and thanks for sharing these pictures and keeping this site going. Thanks PCris, I'm hoping to add more stuff to the site in the near future as time permits. Thanks for your continued interest.